After leaving Deep Purple in the late seventies, Yorkshireman David Coverdale formed Whitesnake. Critics gathered like vultures, razorblade kisses ready but to the shock of many, the early incarnation of Whitesnake was surprisingly close to the heavy rock traditions of Deep Purple. Aficionados approved but the public already had one Purple, and seemingly weren't keen on any other shades. It wasn't until Whitesnake's eponymous seventh studio album in 1987 that the band enjoyed significant commercial success. The LP also marked a shift in style towards the popular Hollywood metal sound of mid-eighties' California. Leather trousers squeaked and jostled for position with the deep tans and ludicrously big hair of eighties power rock. A bikini-clad Californian girl was never far from reach. Crazy, over-the-top, faintly misogynistic eighties' metal styling was pushed so far forward that the music could barely be heard. Nonetheless, the record presented Whitesnake with two massive hits; 'Here I Go Again', a stadium anthem with motifs of loneliness and defiance, and 'Is This Love? ', something of a power ballad evidently penned with Tina Turner in mind (as the vocalist, not the subject). The two songs peaked respectively at No 1 and No 2 in the US Billboard Hot 100 and both reached No 9 in the UK chart. The album was also an enormous success, hitting No 2 in the US, and even retrospectively boosting sales of the band's previous album, the dubiously titled 'Slide It In' (form an orderly queue, ladies). But the headline was 'Whitesnake' and it sold eight million copies in the US alone. The band has been through various incarnations and seemingly endless line-up changes since, but Coverdale has remained the face (and hair) of Whitesnake, and they have continued to write and release new material. Right up to 2011 in fact, which saw the issue of their 11th studio album, 'Forevermore', in March. Whitesnake will never match the summer of 1987 when they briefly ruled rock, but 'Forevermore' is faithful to the band's long tradition and was generally well received. 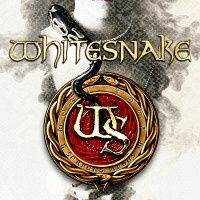 After a series of summer dates sold out, demand is likely to be high when Whitesnake hit the road again in December. The first of three gigs takes place on Monday 5th December at London's HMV Forum, followed the Newport Centre on the 7th and finally at the Civic Hall in Wolverhampton on Thursday 8th December. We will have tickets for all dates when they go on sale at 9AM on Friday 26th August, priced £39.50 or London and £38.50 for Newport and Wolverhampton.